HJM Precision, Inc. has over 35 years of experience and product knowledge in the field of Metrology. Utilizing this knowledge and experience, we strive to provide service and technical support to work with our customers in solving their problems. Our commitment is to provide, to the best of our ability, the application engineering, training factory interface, follow through and service we as a company can. 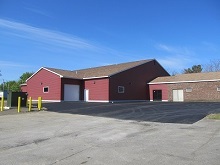 We have Expanded our capabilities to enhance our growing Design and Build Division by erecting a new 12,000 sq ft addition.